The GOUDA CHEESE MARKET is a spectacular historic and nostalgic scene. 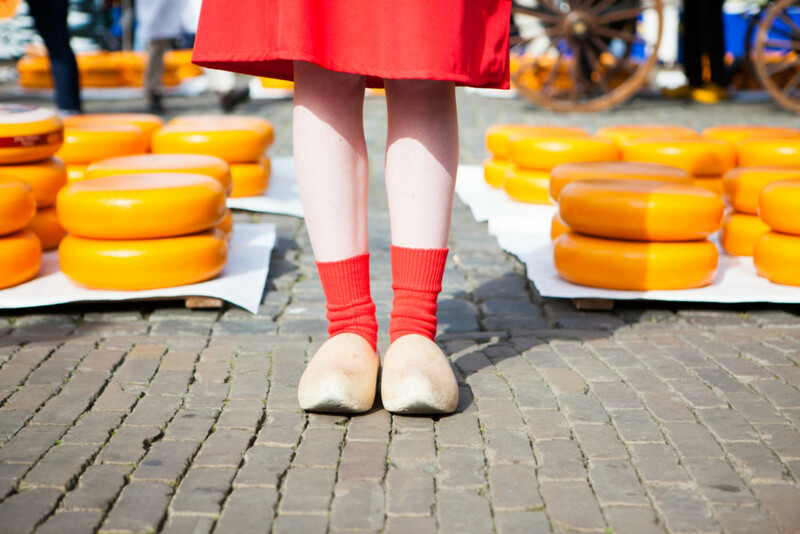 If you would like to visit the cheese market, make sure you are on time. In good weather, the event at the Markt attracts many visitors. 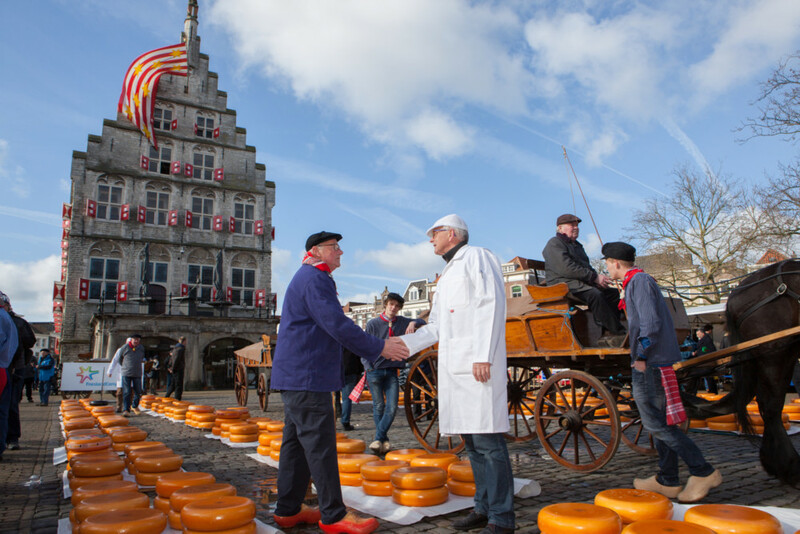 The traditional cheese market takes place every Thursday morning from 10.00 to 12.30 hrs, during the period from 4 April to 29 August (except on Ascension Day, 30 May). As in past times, the farmers and traders seal their bargains for the best cheeses through clapping hands. 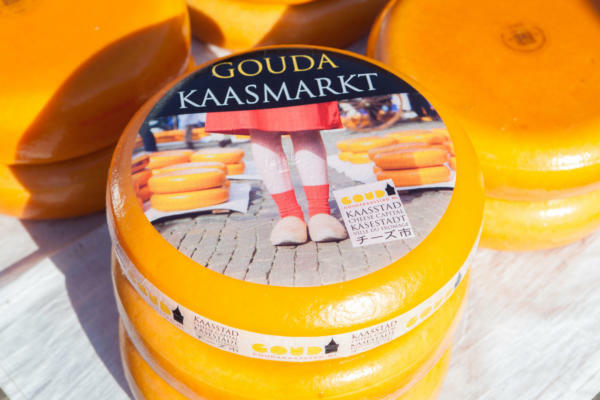 Besides the world-renowned cheese, you can also shop at the stalls filled with regional products. Besides the cheese trade and making of cheese, there is also a crafts market (from 28 June). There is also plenty to do in Gouda in the afternoons. 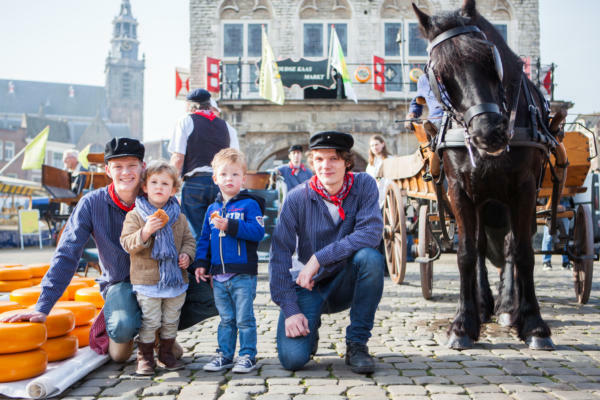 For example, you can go on a boat trip through the canals or join the Gouda Guides Guild. At Syrup Waffles Bakery Van Vliet you can take part in a syrup waffle baking workshop. Or do the Beer-Wine-Cheese battle at Museumhavencafe/IJsselhuis and discover which combination tastes best. 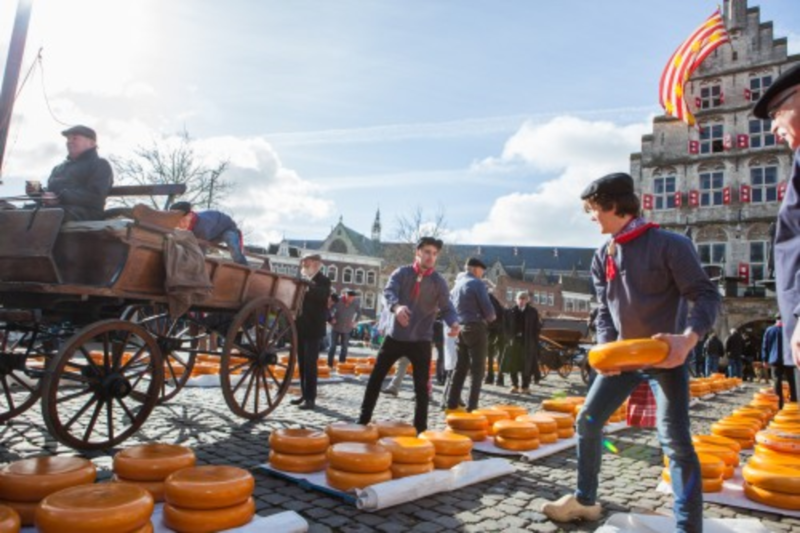 Go to the Event Calendar at welkcometogouda.com for the full programme, or go to VVV Gouda in the Goudse Waag for more information and fees. *Information and tickets available at the tourist office.